Recently, I learned something interesting. I learned, of all things, about the woolly worm. I had never heard of them, so call me stupid, naïve, or whatever, but up to this point in my life, I did not know they existed. My first woolly worm experience happened just a couple weeks ago as I crossed my church’s parking lot. My granddaughter actually spotted it and asked me what that thing was crawling along the ground. To me, it looked like a big, fuzzy caterpillar, so that is what I told her I thought it was. However, a lady walking with us explained that it was a woolly worm. As she proceeded to expand my knowledge on the world of insects, she also commented that seeing this woolly worm was not a good sign. It meant that we were going to have a severe winter. The impression I got from her was that this was a proven science, and there was no doubt in her mind that we can expect some bad weather conditions in the upcoming months. Now, I was not totally convinced of this so-called prediction. To me, it was still just a fuzzy caterpillar and nothing more. Interestingly, for the next few weeks after seeing my first woolly worm, woolly worms kept popping up everywhere–I spotted them on my driveway, in the street, and they were the center of conversation with a co-worker who was also seeing them. I find it so strange that I had never heard of them up to this point, but now they had my undivided attention. With my curiosity aroused, I decided to do a little research and see if there was any truth to them predicting weather conditions. Curran’s studies brought a new claim to fame for the woolly worms, and they became quite a notable topic in North America (except in my neighborhood because I knew nothing about them). They even started a Woolly Warm Festival held each year in October in Banner Elk, North Carolina. However, there are always skeptics. Most scientists today do not put much faith in the woolly warm’s predictions. They believe it to be just folklore. Even Curran himself admitted that his sample data was too small to make any proven scientific claim. On the other hand, there will always be those woolly worm devoted believers, and if you are one of those believers, the woolly worms are saying prepare for the worse–get your snow tires, shovels, boots, extra food supply, and survival kits ready now. In some ways, it would be convenient to see into the future and prepare accordingly. 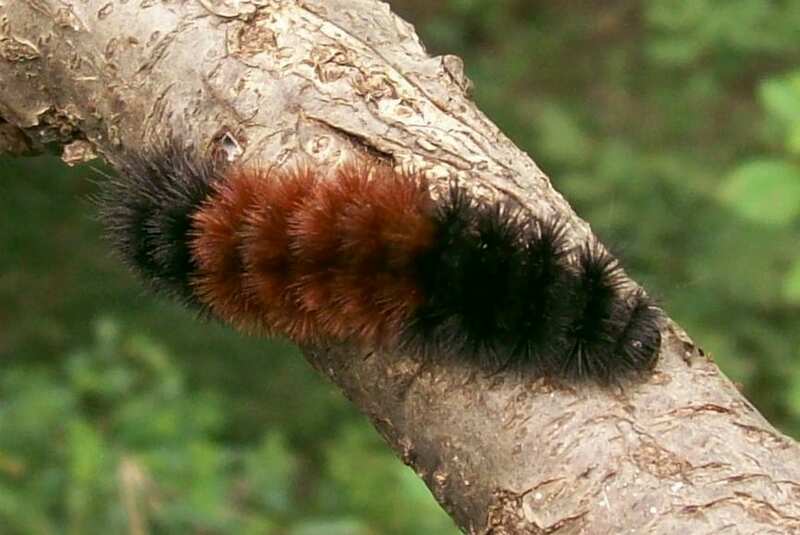 I was even thinking that it would be nice if we had a so-called “Woolly Worm Predictor” here at HG Logistics LLC, a third party logistics company and freight transportation broker located in Cincinnati, Ohio. I imagine it working as follows: it would turn orange when we could expect road traffic delays; red when there were bad weather conditions ahead; brown when detention is inevitable; and black when truck repairs are needed. Oh, the problems we could deter if we only knew ahead. If you are a woolly worm believer, what does the woolly worm theory really do for you? It can not change the weather, but it does tell you how to prepare. Well, HG Logistics does not have a “Woolly Worm Predictor,” but we do pride ourselves on being prepared. We go through full carrier inspection reports to ensure hiring of safe, reliable drivers and trucks. We investigate the specifics of each load–the weights, the dimensions, customer specifications and requirements, appointment scheduling, pick up numbers, loading and unloading instructions, and shipping hours. We make sure our trucks are well maintained by performing routine preventative maintenance procedures. We follow through on each load by acquiring all carriers’ paperwork and information before loading, dispatching drivers in a timely manner, noting when loads are picked up and delivered, and requesting prompt submission of proof of deliveries and all other backup paperwork. HG Logistics LLC does not have bands that change color and size and wave a big red warning flag when something is about to happen. But we do always prepare by taking special notice of specifics and paying close attention to every aspect of our transportation business. HG Logistics LLC will be the first to admit we cannot predict the future, much less control what is going to happen tomorrow. But we have discovered that PREPAREDNESS is the next best thing to the woolly worm and PREPAREDNESS is what you can expect when you hire HG Logistics to haul your loads.